For twenty-five years Dan Lyons was a leading tech journalist—until the Friday his Newsweek boss called. His job? Gone. Fifty years old with two young kids, Lyons was, in a word, screwed. Then an idea hit. For years he'd seen people strike gold in the start-up boom. Why not him? One tech company, flush with $100 million, offered a pile of stock options. What could go wrong?His new employer made the world a better place...by selling email spam. The office vibe was frat house meets cult compound: shower pods became hook-up dens; Nerf gun fights broke out at lunch; and absent bosses specialized in cryptic, jargon-filled emails. 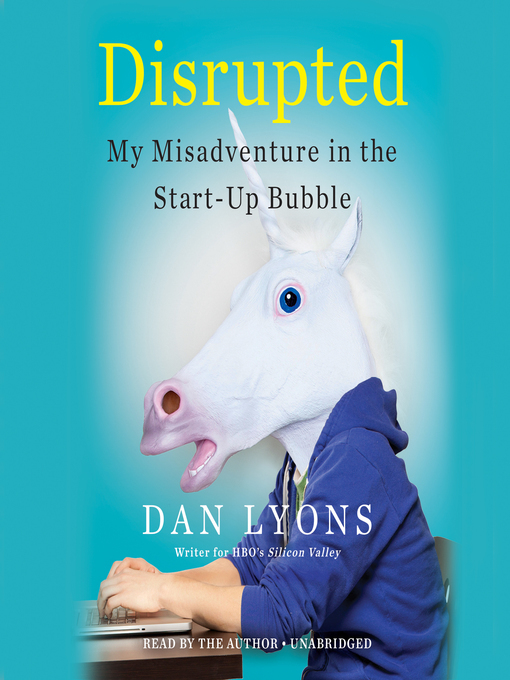 In the middle of this sat Lyons, old enough to be his coworkers' father.With portraits of devilish angel investors, fad-chasing venture capitalists, entrepreneurs and wantrapreneurs, bloggers and brogrammers, Disrupted is a hilarious story of self-reinvention and a definitive account of life in the tech bubble.